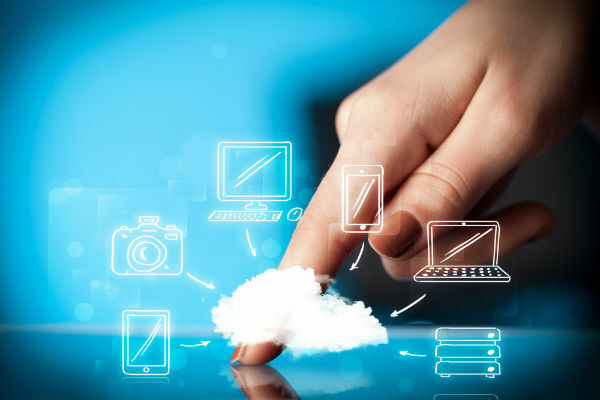 Do Established Online Entities Need Cloud Technology? I think this is the foremost question in the minds of many chief technology officers. Should you tinker with your web infrastructure when everything is working fine? Do you need cloud technology at all? I personally think that online infrastructure will completely move into the cloud and it’s going to happen sooner than we all think. This move is inevitable because of several reasons. The most important factor is efficiency. Traditional infrastructure has built-in inefficiency. Most web servers work at around 30% capacity most of the times. This is an overwhelming amount of inefficiency. As cost of maintaining data centers goes up, the traditional servers will have to give way to the cloud. Cloud technology, on the other hand, is beautifully designed for better efficiency. Here we talk of server instances and not server hardware. Cloud infrastructure service providers will therefore enjoy better margins which they can pass on to customers. Assuming that the cloud will occupy the entire online space; do you think it makes sense to remain with traditional technology? I think it’s time you start getting used to the cloud. Established companies have an inherent advantage. They can pick and choose what they want to move into the cloud and when. For example, you can begin with your emails. Let me say that email management may look simple, but it’s quite a process. If you have a chat feature built-in, the memory it hogs can be enormous. Moreover, the bandwidth requirement increases tremendously when hundreds of your staff and customers are on chat simultaneously. Getting these applications into the cloud can ease out your existing traditional online infrastructure. The biggest advantage of shifting step by step is that you can enjoy a long learning curve. Make no mistake – you will falter along the way while you step into the cloud. The bigger your infrastructure, the more the staff required to maintain it. This adds up to overall increased load on staff. Technical staff can be costly to employ and this expenditure can be cut down drastically when you are in the cloud. This is called the tooth to tail ratio. For every ten operational employees you need one staff for managing them – salaries and meeting government and statutory requirements etc. If you have a thousand employees you have hundred who are working to maintain them. Now you can imagine the saving when you cut down the tooth to tail ratio. This is another important reason why established entities must migrate to the cloud. Flexible infrastructure means benefits beyond saving money. When in the cloud you can add server instances or reduce them as desired. This is not possible with traditional infrastructure. Established entities must look at their existing traditional online infrastructure and re-evaluate the assets. I am sure they will find redundancies which they never knew existed. Do a cost analysis and you will always come to the same conclusion – that the cloud is economical. Established entities do require cloud technology – if not now, then certainly in the very near future. Sankarambadi Srinivasan, ‘Srini’, is a maverick writer, technopreneur, geek and online marketing enthusiast rolled into one. He began his career as a Naval weapon specialist.Later, he sold his maiden venture and became head of an offshore Database administration company in Mumbai.He moved on as Chief Technology Officer of one of the largest online entities, where he led consolidation of 300 online servers and introduced several Web 2.0 initiatives. He holds a Master’s degree in Electronics and Telecommunication.